Trans Pacific Partnership, TPP, sounds almost palatable -- but it is not. 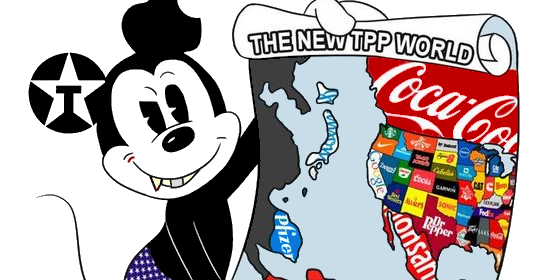 The TPP was created & composed by corporate interests in secret, who now attempt to shove it down our throats. Perhaps the worst dimension of TPP is the ceding of national sovereignty to corporate lawyers acting as arbitrators in investor-state dispute settlement, the ISDS mechanism. A detailed analysis can be referenced here (link). TPP is a corporate-led boondoggle aimed at virtual enslavement. The process thus far has been conducted in smoke-filled rooms and behind closed doors. We of course know the revolving door between industry and government promises soon to personally reward the corrupt politicos selling-out their people. Tell your Government: Stop TPP Now.